ormally temples are the places that contain art pieces — from many different craftsmen like wood carvers, painters, sculptors and architects. The Thais have dedicated an immense amount of their time towards making these Buddhist places extraordinary. 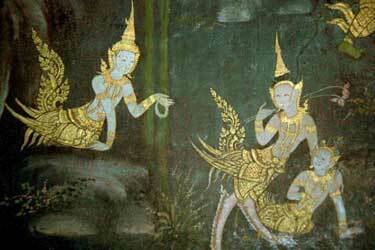 That is why so much antique art can be found in the abundant temples of Thailand. 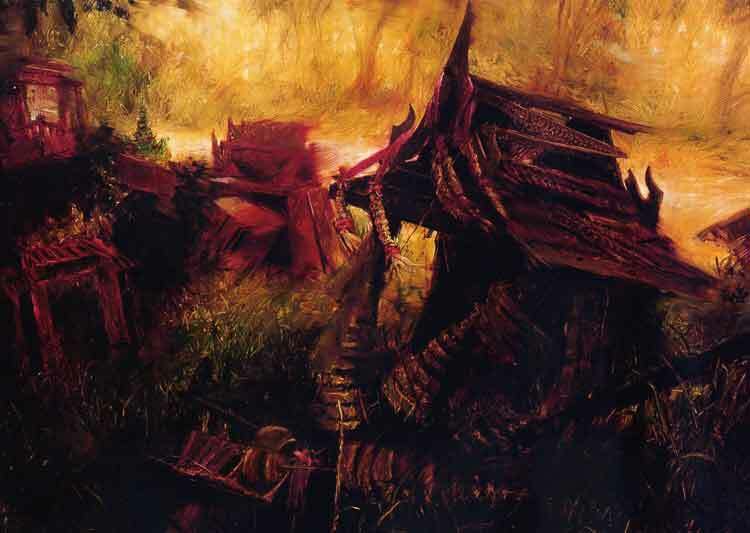 But when we refer to Thai contemporary art, we are usually talking about works that are somehow in-trend, up-to-date and often times outside of the temples. Unfortunately, putting these terms, Thai art and contemporary art, together leads to a misinterpretation. It hints in the wrong direction. That it is simply Western art that has some Thai characteristics – as if the traditional style was only a percentage of its elements. Perhaps a painting that uses red color and gold leaf, as part of an otherwise impressionist style canvas (or the depiction of angels with lai thai1), may lead people to believe that these works are lagging behind in trends that have already come and gone. But these are works by contemporary artists who come from a quite different background than those who were trained in the realistic modes inherited by the West from the Renaissance. Those unfamiliar with the common forms of Thai traditional art will surely miss a lot of the meaning in, and the spirit of, these new contemporary works. Pieces that don’t fit inside the temples are considered modern. They are created by artists who have modern stimuli. Albeit in modern surroundings, they have evolved with a different approach to visual representation of objects than that of their Western counterparts. They are still representative of the modern world and the real and conceptual problems that come with it. As the pollution and poverty of the world’s largest primate city increases, so do the number of new young artists who are painting about it, talking about it and using their traditional skills in the new modes of expression that they seek out. The vast history of an Indian mythological narrative and a unique symbolic heritage2 collided with the modern world and all of its political and industrial forces. Whether making a canvas look like a cracked mural painting on an old temple wall or even using a much different technique to capture the essence of a Kinnaree3 as an abstract expression in traditional colors, these two works may very well contain the same spirit. While some contemporary Thai works seem to copy ideas of form from the abstract expressionists,4 there is still a unique spirit of identity. When interpreting works from art history we must always ask ourselves, “What were the values of the people in that society at that time? And what was their environment like?” So it is with contemporary art. Traditional Thai art is normally considered to be the decorations in and around the palaces, temples or pagodas where so much of the pearl inlay, porcelain mosaic, or stucco ornamentation is found. Considering the historical sites at Ayutthaya, Sukhothai and Srisatchanali, Thai art has traditionally never been very far from the holy places of the past. 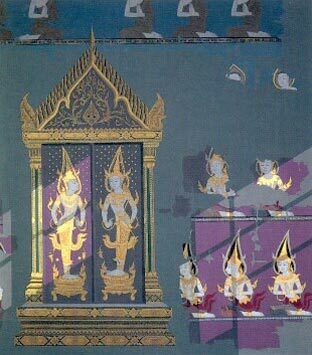 Traditional Thai painting that started on the temple walls, hangings, manuscripts and cabinets had a specific purpose, such as a decorative fresco or as illustration for the Buddhist scriptures. 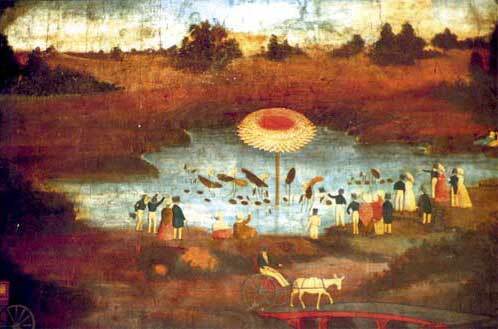 The treatment of characters was very delicate in style and metaphorical in representation. Paintings contained specific areas of gilt gold leaf to emphasize the accessories on the costumes of angels and the depictions of the Royal family. 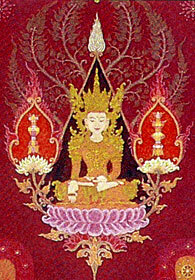 The stories of the Buddha, which formulaically surround the inside walls of temples, used plain colors. Different episodes in the same canon would be placed in the same frame just in a different area. And there was no rendering of volume, per se, just a wonderful use of line to portray the space and idealistic integrity of the characters such as Prince Siddhattha.5 In one place on the wall, he makes his decision to leave his luxurious life to seek enlightenment in the forest. Then immediately in the same area, he is traveling on a horse with his dedicated servant. Still, close by, is another scene where he cuts off his long hair that symbolizes his birthright. The story unfolds like this until the last scene. 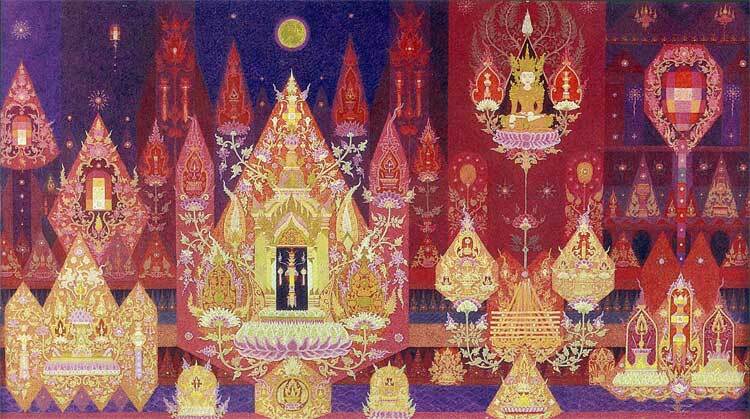 Literally, Thai paintings religiously followed this pattern up through the reign of King Rama IV in the 1850s. Until a monk named Cru In Khong, who by meticulously studying the foreign postcards in the King’s library was able to devise the system of perspective for himself. He used horizontal lines and vanishing lines to create the illusion of depth and bequeathed these techniques to his many students. Some Western techniques, including new color schemes, were finally added to this highly refined and traditional system. Several decades later, Corrado Feroci by royal invitation, came over from Florence, Italy in the early 1930s.6 Invited by King Rama VI and the Thai government, he was initially commissioned to sculpt an important monument.7 Just as soon as he arrived, he fell under a particular magic spell owned by the Thais. He fell in love with the culture and its people -- not just the canals and houses of Bangkok but the temples and ruins of Ayutthaya, Sukhothai, Srisatchanali and Lopburi as well. The Thais are renown for being easy-going and hospitable, but they also have deep roots in the traditions of music, dance and art too. He found their inherent sensitivity towards the arts, and their collective sense of freedom, a wonderful place to be. He dedicated the rest of his life, teaching Western traditions to his students and colleagues while at the same time documenting the Eastern arts and its specific Thai morphology. Adding alien modes of expression and linking them to the Thai ones; anatomy, color theory, western schools of thought and art philosophy began to have a lot more influence on the production of art works in Thailand. This extra knowledge combined with the strong foundation of traditional artistic skills made students excel and enjoy themselves a whole lot more. 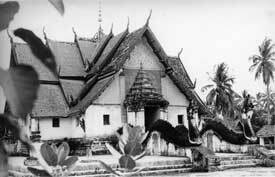 In 19438 he founded and taught at an art school called Silpakorn University9 with the already famous architect Praprohmpichit. 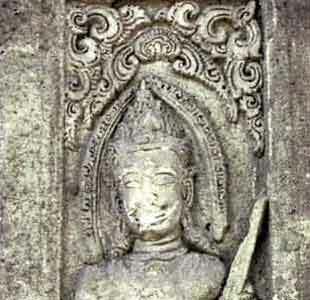 He carried some of the first fine art pieces to be shown outside of Thailand to Europe.10 He donated a Banglila11 Sukhotahi Buddha image for the Western world to study. He helped convince the then military controlled government of Thailand to interest itself in the national heritage of its own country. 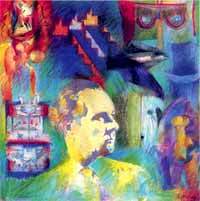 He started a national art contest that is now in its 50th year. His first generation students have almost all retired from working or passed away. Their art pieces are the current generations study. Exceptional among them are Fuera-hari Pitak, Tawan Dutchanee, and two younger artists Chalermchai Khositpipat, and Wichok Mookdamanee. Silpa Bhirasri’s (Corrado Feroci’s) philosophy and way of teaching have been the heart of Silpakorn University’s philosophy for three generations. There is no lack of his portraits or statues around the campus either. Thailand has many qualified art teachers thanks mainly to his merit. When he died in 1962, out of respect for his ability and kindness, his first generation of students dedicated their careers to continuing the traditions he started. All have admitted to being very lucky to have had such a good teacher with such exceptional skills, who is referred to as the father of Thai contemporary art. New Thai artists are growing up and more youngsters are dedicating themselves to produce art works. More art schools have been created in Chaing Mai University, Bangkok University, and Bhurapa University (Eastern University). This tradition now pervades the whole country and its style never seems to be replaced or surmounted in national competitions. This makes most Thais quite proud of the Departments of Painting and Sculpture, Decorative Arts and Graphic Arts at Silpakorn University. Today Silpakorn University teaches applied art with a strong emphasis on basic skills and a strong sense of what the essence of art really is, the emotional expression of the spirit inherent in living, sentient beings. On top of that there is a lot of teaching about how the form is to be applied to design. Silpakorn University sifts through 3,800 applicants a year only to admit 300. Hopefully the pictures in this article give a variety of the styles and expressions of the movement. 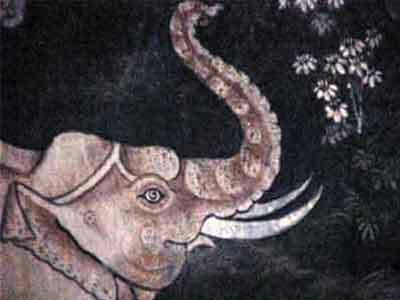 Thai contemporary art has its roots in the metaphorical depiction of humans, animals and natural forms. In the past, after many years of refinement, teachers who graduated from Silpakorn were sent at government expense to study art in the European countries, especially Silpa Bhirasri’s home country. The influence of Impressionism and Post-impressionist styles can be duly noted, as well as some Cubism, and the ever-present Buddhist philosophy. At times Surrealism has been assimilated too. This is an Eastern soul that has developed and adapted to social concerns. Some of these works relate to the 14th of October Massacre12 and continue with depictions of the destitute on Bangkok city streets. Artists with strong foundations are experimenting with new techniques in a search for new and evolving ideas reflected from life in modern Asia. Wonderful modern sculpture and installations abound if you frequent the galleries at Silpakorn. And finally, some modern art galleries are starting to gain beachheads around the country such as the prestigious Queen Sirikit gallery donated by the Bangkok Bank. It grows even freer still, not only for the techniques of production, but also in the representation of contemporary issues. The Thai sense freedom is different than the concept of liberty, which most of the Western world adopted from French ideology some 200 years ago. No, the Thai concept of freedom is still a personal statement of acceptance of everyone and every-idea without first passing judgment. After that it is the praising of a heritage from an ancient practice of art, which not only encompasses the history of Angkor but the formulaic expression of humanism in the Eastern sense.